Resort-style living is a growing trend among luxury homeowners. After all, you’ve worked hard to get where you are today. You deserve to live like you are on vacation when you’re at home. Thankfully for you, top resort companies like The Ritz-Carlton have developed residential communities to fill people’s desire for resort homes. Here’s a comparison of The Residences at The Ritz-Carlton in Dove Mountain near Tucson and The Ritz-Carlton Residences, Waikiki Beach. Neighborhood: Dove Mountain is a quiet desert mountain neighborhood, and The Ritz-Carlton Residences honor and embrace the natural landscape. The neighborhood is a short drive away from Tucson, which offers a vast number of amenities, dining, shopping, entertainment, and the prestigious University of Arizona. Residences: The Residences at The Ritz-Carlton, Dove Mountain is made up of 16 exclusive custom home sites — beautiful pieces of land where you can create your dream home from the ground up. There are also 110 customizable residences in Phase I with 8 custom home floor plans to choose from. Homes range from 1,668 to 5,460 square-feet with prices beginning in the high $600k’s. It is located in Marana near Tucson, Arizona. To|Go — 6 a.m. to 12 p.m. Daily, To|Go is the perfect spot for coffee, beverages, healthy smoothies and sweet treats. It’s also great for snacks, and ideal for enjoying the many nearby recreation and desert adventures that make The Ritz-Carlton, Dove Mountain an ideal Arizona getaway. Turquesa Latin Grill – The grill is located at the resort’s spectacular swimming pool and water slide area. Enjoy world-class cuisine and service while soaking in Southern Arizona’s sunny weather. This poolside grill is the perfect place for lunch, featuring traditional Latin fare and Tucson-inspired influences. Turquesa Latin Grill also specializes in premium tequilas, hand-crafted margaritas and signature cocktails. Cayton’s Burger Bistro — Serving Gourmet Burgers, Shakes, signature entrees and an extensive selection of Regional Craft Beers at The Golf Club at Dove Mountain. Cayton’s Burger Bistro, the signature restaurant at The Golf Club at Dove Mountain is open to the public, members, and guests. The casually elegant ambiance of the clubhouse is the perfect setting for a delicious meal on the patio of Cayton’s or for an intimate private event. Ignite — The resort’s fire-themed lobby lounge, which is truly the heart of the hotel. With stunning views, fire pits and bustling activity throughout the lobby, guests can enjoy an afternoon iced tea with lunch or signature cocktail in the evening. There is also a sushi and sake bar to enjoy. Homeowners at The Residences, Dove Mountain have access to hotel amenities at The Ritz-Carlton, Dove Mountain including a world-class spa and golf course. On top of these luxury amenities, homeowners can choose from optional services delivered by The Ritz Carlton. From housekeeping and valet services to a dedicated concierge, you will enjoy five-star caliber living at The Residences Dove Mountain. Land is selling out rather quickly in this luxury Dove Mountain real estate community. If interested, you may not have much more time before all the available land is snatched up. For more information, visit http://theresidencesdovemountain.com/. 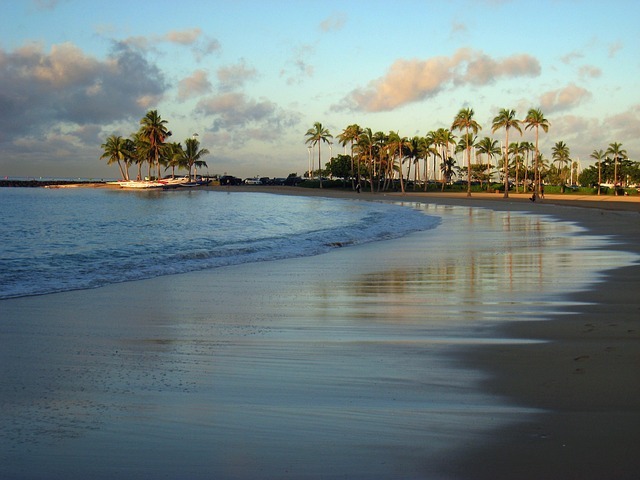 Neighborhood: While many people think of quiet beaches and laid back surfers when they hear “Waikiki”, those that have visited this island know quite well that it actually has an upscale, cosmopolitan vibe throughout most of the city. Luxury shops and an abundance of fine dining restaurants are located throughout Waikiki, so you can be sure you won’t ever feel like you’re “stuck on an island.” And once you’ve had your fill of shopping and dining, you can enjoy entertainment like the Honolulu Zoo, Waikiki Aquarium, and of course, Waikiki beach. Residences: There are two towers that make up the majestic luxury homes at The Ritz-Carlton, Residences, Waikiki. The West Tower is almost completely sold-out, however a second collection of residences in a new East Tower is being released this spring according to the Waikiki property website. Floor plans for these new homes have not yet been released to the public, however they will range in size from 400 to more than 3,000 square feet. Pricing for these homes will start around $500,000 with the most expensive homes expected to sell for upwards of $20 Million. Dining: These luxury resort homes are surrounded by award-winning restaurants, offering homeowners endless ways to tempt and satisfy their palates. Sushi Sho — There is a world-renowned sushi master from Japan ready to serve up the freshest of sushi at Sushi Sho. Dean & Deluca — Then there is gourmet and specialty foods and treats at Dean & Deluca. BLT Market — Also on property is the signature BLT Market, a dining experience that offers flavors for all seasons, featuring fruits and vegetables that are at their peak of freshness and natural abundance. 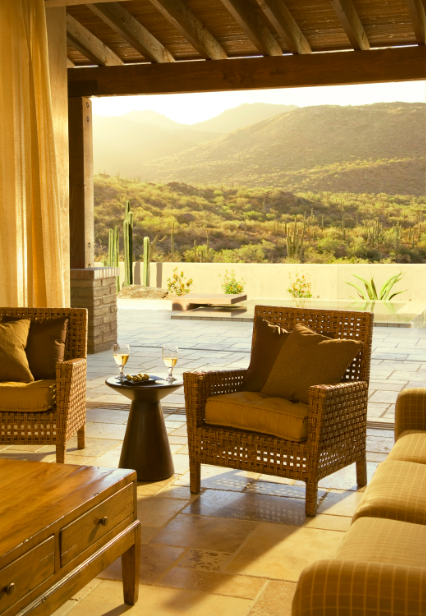 Amenities: Like The Residences at The Ritz-Carlton, Dove Mountain, this property offers homeowners personalized services of The Ritz-Carlton. We hope this comparison helps you choose between two phenomenal properties located in two very different locations… a desert mountain and tropical island.